“Don’t drip into the sauce, Alejandro.” Marina dabbed a towel over her face and sighed. The pastry chef glared at her and set down the water bottle. “I need to take a walk.” Guffaws and laughter sent him sprinting. “Don’t forget to wash your ha-ands,” a girly voice offered. “When is the air-conditioning repair coming?” The busboy slinked into the kitchen. “You think this is hot, try the restaurant. Customers’ brains must be parboiled— they’re skipping dessert.” He smirked at Rick’s return. “And ours are barbecued. Two more hours troops. Chop, chop,” Marina scolded benignly.Rick tossed his hat. The word limit for Parboiled is 150 words. I used all 150. Check out http://mommasmoneymatters.com/flash-fiction/ for the rules and join us. 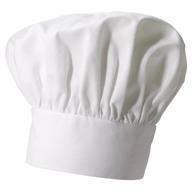 Categories: calories, lifestyle, thoughts | Tags: Flash in the Pan, food, parboiled, pastry chef | Permalink. A brilliantly painted scene Tess! I like this scene, Tess… I could actually feel the heat and busyness as I read! Great scene drawing Tess, 150 words well used. Yep, it’s hot sometimes although I don’t recall anything like this when I worked in the kitchen in one when I was a kid. Wonderful. I want to open a window and turn on a fan for them.